I'm in the middle of reshuffling a lot of things on my blog and the 'geeking' section is one thing that's getting a makeover as it had become a drop box for all manner of random posts. In the 'geeking' section you will now find all web-based tutorials and articles (not to be confused with the 'DIY' section, which is sewing and clothing-related projects. Ok, now on to the tutorial! Assumed knowledge: Familiar with Facebook. This tutorial shows you how to create a page on Facebook for your blog which automatically updates itself each time you post. Go to facebook.com and either sign in with your personal account or create a new account. Then use the following link to go to Create New Facebook Page. Choose 'Website' from the second drop down box and type the name of your blog in the text field. Click the 'Create Page' button to continue. You will then be redirected to your new page. 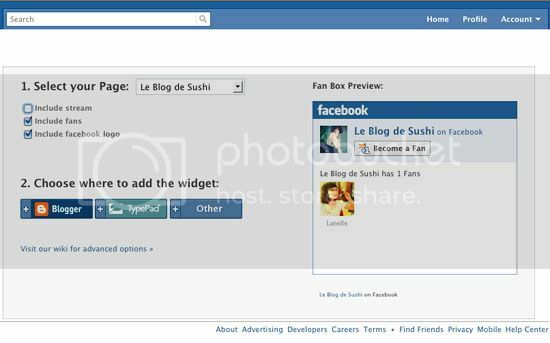 Just like a personal Facebook page, you can add images and info to the page via the various tabs and boxes. It's a good idea to add at least one picture and put your blog's URL in the 'Info' section to make your page more recognisable. 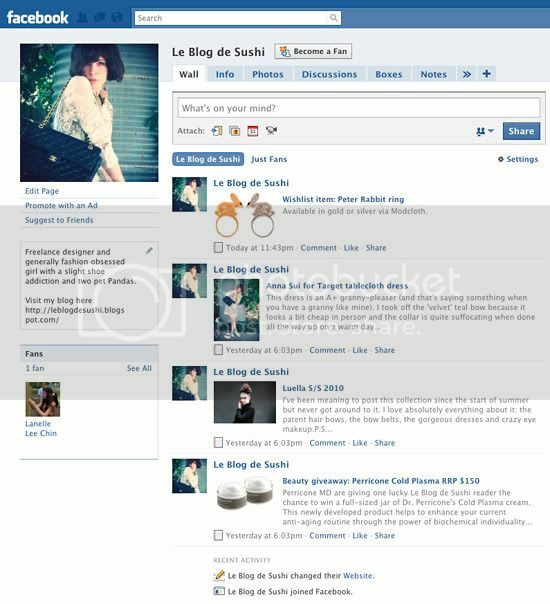 To add your blog's posts to the page, click on the 'Edit Page' link directly under the profile photo. You will find a list of applications that can be edited and removed on this page. Scroll down to the 'Notes' section and click 'Edit'. Once on the 'Notes Settings' page, click the 'Import a blog' link. On this page you need to enter the paste URL of your blog into the box and tick the checkbox before clicking the 'Start Importing' button. Facebook will then load a number of your most recent blog posts. When the page has finished loading, click the 'Confirm Import' button on the right. Click on the title of your blog near the top of the page to head back to the main page. Your blog posts should now be showing up on your wall. If there are any duplicated posts, just remove one of them. When you have finished setting up your Facebook page, you'll want to advertise it so others will join. You can do this easily by clicking the 'Suggest to Friends' link under the profile picture and sending out invitations to your Facebook friends. You can also create a widget to display on your blog. To create a widget, click on the 'Edit page' link again under the profile picture. Scroll down and search for the 'Promote your page' section in the right sidebar. Click on the 'Promote with a Fan Box' link. You can choose from a few options to customise your Fan Box and see the preview of it on the right. When you're finished, click the button that corresponds to your blog's platform and follow the prompts to install the widget on your blog. P.S. Please follow my brand sparkling new Facebook Page! What a fantastic tutorial! You never fail to impress, miss! I wasn't aware you could do this!! I was wondering how to do that haha. I've become a fan of yours too! Feel free to find the Modern Fabulous on FB too and become a fan hehe!